Sorry for the very long blog break. I have been working very long hours the last months and no time for creativity at all. I did do a few classes with the velveteen technique in 2 of them ( a technique introduced by the amazing Shari Caroll a while back). So at least I can share some of these cards, huh? 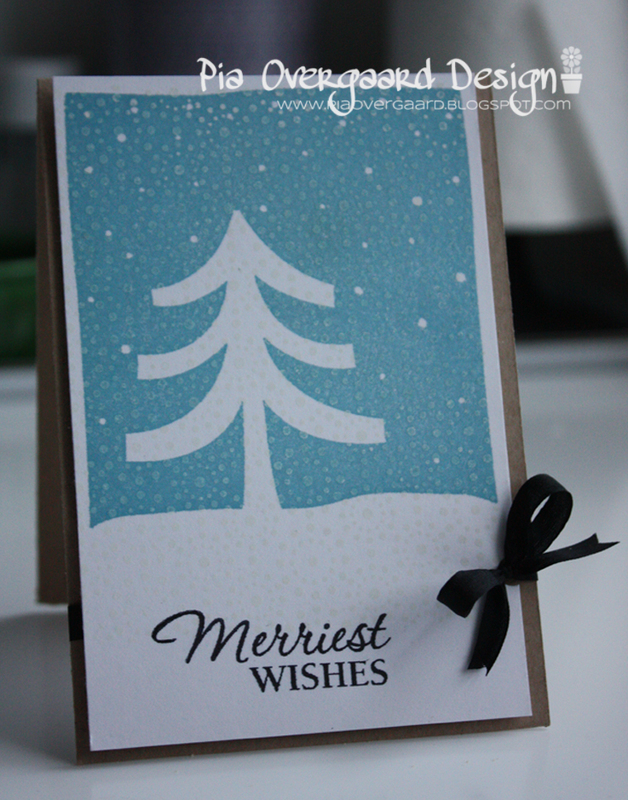 This first one is using the wonderful Snow Dots stamp from Hero Arts and the White Christmas stamp which is a negative stampe with lots of solid area - great for this technique. The blue ink is the mid tone pool. On the next one I used the Leaf Background and the Christmas Ornaments - all from Hero Arts. The grey ink is wet cement. Hvor ser din have hyggelig ud med sne! 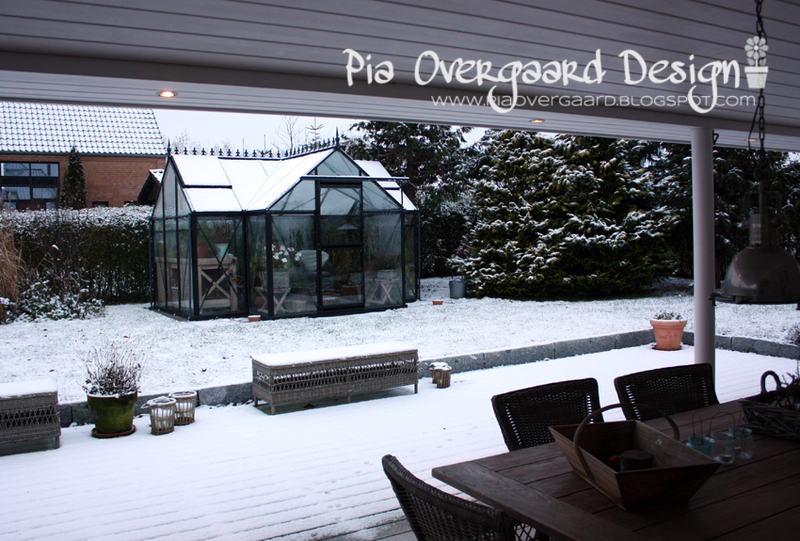 Gorgeous cards Pia, and lovely snowy scene in your garden. 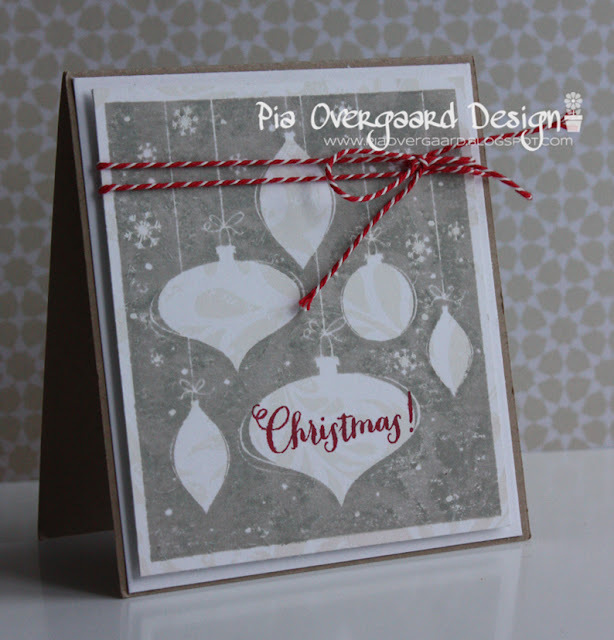 very pretty technique, i adore the gray card you created. the snow has been holding out on us here... lovely picture! Ihh... nogle SUPER lækre kort, kan virkelig godt lide den "tavle / kridt" effekt. Sender de bedste ønsker til både dig og Jan, om en rigtig god jul.